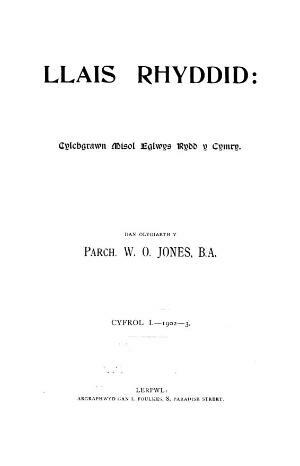 The Welsh language religious periodical of the Welsh Free Church, which split from the Welsh Presbyterian Church in 1901. The periodical's main contents were religious articles, denominational news and reports on the activities of the Free Churches. The periodical was edited by the Reverend William Owen Jones (1861-1936) until 1903, and subsequently by William Owen Jones and the Reverend William Albert Lewis (1871-1950). Originally a monthly periodical it was published quarterly from 1912 onwards.